A man has been sentenced for driving a motor vehicle dangerously on Yapton level crossing. Anthony Foot, aged 69 of Nyton Road, Eastergate, Chichester, pleaded guilty to one count of driving a motor vehicle while above the alcohol limit and one count of driving a motor vehicle dangerously, according to British Transport Police. In a statement it said: “At around 5pm on 21 December last year, he drove his car onto a level crossing on North End Road in Yapton whilst over the limit. BTP officers were called to the scene and the trains were stopped whilst Foot and his vehicle were recovered. 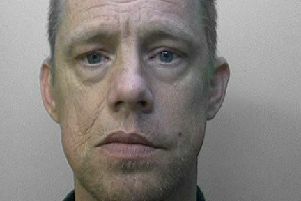 Foot appeared at Worthing Magistrates’ Court on February 3 and was fined a total of £2740, ordered to pay a £170 victim surcharge and £85 court costs. He was also disqualified from driving for 20 months. Investigating officer, PC Graham Dodge, said: “Not only was Foot drink-driving, which is a dangerous and potentially lethal thing to do for yourself and other road users, he also ended up driving onto a level crossing. Had a train been coming, he would most likely been seriously if not fatally injured, potentially along with the train driver and passengers.